For patients who desire fuller breasts but do not want an implant to achieve this look, there is also an option known as a fat transfer or "cleavage therapy", a term coined by board-certified plastic surgeon Dr. Kamran Khoobehi. In this procedure, Dr. Khoobehi will harvest fat from donor sites of the patient, such as the flanks, abdomen and thighs via liposuction. The fat collected will undergo a process of refinement and purification, and then be re-injected into the breasts with smaller syringes so the shape is evenly distributed. This procedure can also create cleavage for patients who wouldn't get the same effect with only an implant due to the natural spacing of the patients' breasts. These patients can benefit from a combined procedure of implant and fat grafting for a more natural looking result. Cleavage therapy can also be used to fix asymmetry issues, rebuild a woman's breasts following a mastectomy and improve the appearance of a previous breast augmentation by creating fuller, softer breasts for patients in New Orleans or Metairie, LA and Beverly Hills, CA. Not everyone who desires fuller breasts wants an implant. Our fat transfer for cleavage therapy procedure is the perfect answer. 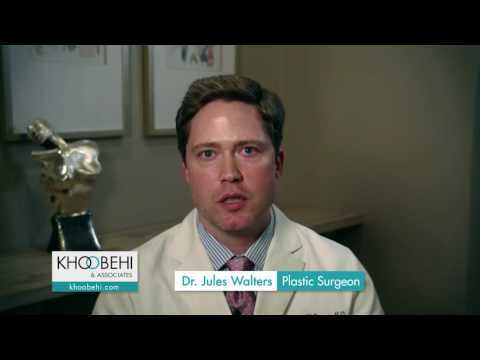 By using the patient’s own body fat, the expert plastic surgeons at Khoobehi & Associates can increase a patient’s breasts by one full cup size. This procedure is also great for women who desire more cleavage. 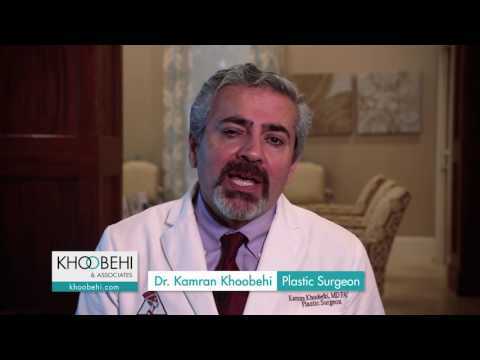 In that instance, Khoobehi & Associates would perform liposuction to remove fat from unwanted areas, which is then injected into the patient’s breasts to create soft, natural looking cleavage. 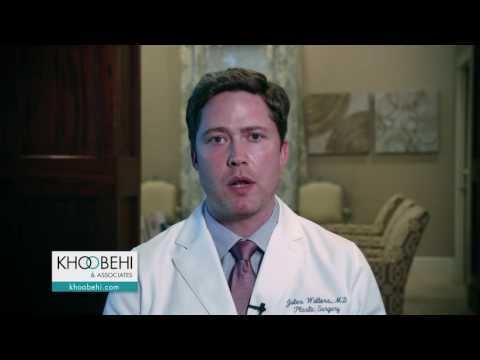 Patients who already have breast implants can improve the look and feel of their breast augmentation through Khoobehi & Associates’ cleavage therapy plus a fat transfer procedure. Fat transfer combined with an implant can give the desired look of rounder, fuller, more natural looking breasts. Patients who already have breast implants can improve the look and feel of their breast augmentation through cleavage therapy and fat transfer procedure. Fat transfer combined with an implant can give the desired look of rounder, fuller, more natural looking breasts. Fat grafting/cleavage therapy is an outpatient procedure that may last from an hour to several hours. It is performed using general anesthesia in an accredited surgical facility. All activities must be limited within 48 hours after surgery. There will be bruising and swelling, and a compression support bra will also be worn to help in healing. It is normal to feel tightness around the chest area as the skin adjusts to the breast’s new shape. Most patients can resume normal activities within 7 days; exercise should be avoided for 4-6 weeks. It takes approximately 6 months for the breasts to look, feel and function normally in regards to softness, sensation and final placement. Fat Grafting/Cleavage Therapy procedure will vary in cost depending on whether the procedure is done alone, or as part of a breast augmentation with implant. The procedure also includes liposuction to certain areas of the body. If an implant is added, pricing will vary depending on whether a saline or silicone implant is used.